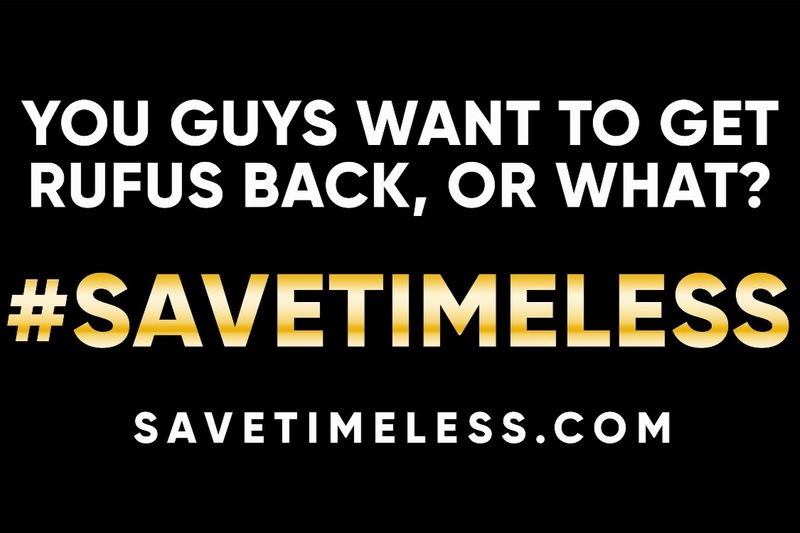 ClockBlockers are uniting to #SaveTimeless! In response to NBC's decision to cancel Timeless, fans all across the globe are fighting the good fight to continue Timeless. WE ARE NOT GIVING UP YET. We need only change ONE network's mind! And whether you want a Season 3 or a Movie, THIS is our best chance at getting noticed and taken seriously. So let's work together! As promised, all remaining funds will first go towards further campaign initiatives (then when all of our campaigning is said and done, *then* any remaining funds will go to a TBD charity). Lastly, don't forget to check out our Campaign website! You should all be so proud! We’ve officially got ourselves two heliCLOCKters for SDCC! One for flying our giant #SaveTimeless banner and one to livestream the whole experience! Once our flight plan is set and approved (it all has to be logged with and approved by the proper authorities), we will share this information. (After all, we want as many people as possible to see our declaration!) We officially cut off the donations for the heliCLOCKters at $23K (from GFM and PayPal combined). THAT SAID, any donations above that will go to future campaign initiatives! And once we have no future campaign initiatives, all excess funds will go to a Lucy Preston approved charity that everyone will have a say in picking! Why: we are unwilling to let Timeless end here, and we will show the WORLD what we're made of! • Who is taking my money? Hi! My name is Jordan Hawman. 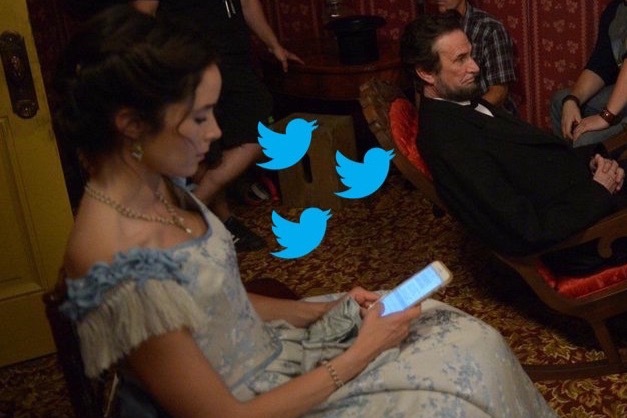 I am @galavantcentral on twitter and @jleigh3 in the #SaveTimeless Discord group. I am Canadian, and currently working full time as an unpaid intern in a museum in Wales (no, I can't afford it). I was the one who put forth the billboard idea and quickly became the project leader for the #SaveTimeless billboard. Although this GoFundMe is now for the #SaveTimeless aerial project over SDCC, since the billboard was the initial plan and the main cost in the #SaveTimeless campaign, I was the one who created this GoFundMe. Hey, I’m Emily. You may have seen me on Twitter (@EmilySchepker) or on our discord server (@Ems). I volunteered to help with the money coming out of the Go Fund Me Campaign because I know how important a paper trail is for something like this. I have a Bachelor’s Degree in Accounting and have experience working for CPA firms, in private accounting, and even as a production accountant, so I will be sure to keep really good books for us! I will share campaign invoices as we get them, to assure everyone the money is going where it’s supposed to. We realize that handing your money over to complete strangers online is very disconcerting (and we do NOT take this responsibility lightly). That is why we want this whole process to be as transparent as possible. If you have ANY questions or concerns, please feel free to contact us at ANY TIME. We both try to check Twitter and Discord as much as possible. • How are you handling mine and others' money? As I stated above, we take this responsibility VERY SERIOUSLY. Since I (Jordan) am Canadian, and do not have an American bank account and the other required info, I cannot be the one to withdraw the campaign money. Emily, who has been a major leader in this campaign since the beginning, and has been the one in contact with AirAds this entire time, will be the one in charge of moving the money from the GFM to AirAds (and if we have any money left over, to whichever charity afterwards). (It is due to this that the campaign now has "on behalf of Emily" listed - something that GFM does automatically and I can't seem to change.) There will be receipts for everything, and proof of every single cent will be provided. As I've said before, we want this whole process to be as transparent as possible. - it will get us ATTENTION. Helicopters are noisy. People hear them and look up. They also don't fly very often in this area of San Diego, from what we've been told, so people will be curious. - ORIGINALITY. A helicopter has not been done yet. This is because planes with simple banners are the cheapest. Let's see what we can do! - EXPOSURE. SDCC is packed! All of the major networks have reps there. There will be LOTS of press. It is worth throwing everything we've got at this event as it is our best chance to make the biggest statement possible. - a 5000 SQ FT CUSTOM BILLBOARD. A helicopter can carry a larger billboard than a plane. This means better visibility. - a 3 HR FLIGHT. That means PLENTY of time for people, media outlets, and networks to notice it, see it, read it, film it, and share it. This is how we will get the attention we want. - a 2ND HELICOPTER. We will have a second helicopter built into our price that will be taking photos and videos of our billboard helicopter. There is also potential to live stream the entire operation! • What happens with the money left over? We are in a bit of a bind here. We promised heliclockter seats to our two highest (combined donations) donors who could pay their own way to San Diego. Since so many of us donated anonymously or with fun aliases, it's impossible for us to determine who our highest donors actually are. If you think you are among our highest donors, can get to SD on your own dime, and want to be considered for a seat, DM me on Twitter or through discord or message our facebook page (SaveTimeless HQ). This may be controversial, but if none of the highest donors want their seat / don't come forward. I will DEFINITELY look into getting out to SD to oversee the mission personally. But we did have several individual donations of $250+ and we don't want to go back on our promise. The problem is we have no way to know *who* we even need to reach out to, as some may have combined donations that total $250+ as well, and we don't want to be unfair by not including them. We need the donors to reach out to us. So please get in contact with me ASAP if you qualify & want a seat. I'm @EmilySchepker on Twitter and @Ems in our discord. ALSO FEEDBACK PLEASE from all of you regarding this matter if you have any. ClockBlockers! Emily is calling AirAds in 1HR! We're at $20,900! Can we get another $1,100 before then? Can 45 of us pitch in $25? For $22,000 (less fees) Em can try to negotiate for a 4K sq ft billboard w/2nd heliCLOCKter w/live stream! Donate & share! Congratulations, Clockblockers! You should all be so proud! We’ve officially got ourselves a heli-clockter helicopter for SDCC! I just wanted to quickly give a few more insights into what we are looking at based off of my conversations with our rep at Air Ads. I know we have been pushing this 11:59 PM PST Sunday 7/8 deadline for donations. However, we do have several really awesome upgrades left for us to pursue, so I’m going to encourage you all to PLEASE continue to donate. Our rep, Joel, told me on Friday that as long as his work load didn’t get any heavier, he should be able to extend our deadline to finalize everything by a day or two. (Meaning Tuesday 7/10 or Wed 7/11). Obviously, I won’t know anything until I call him on Monday (7/9), but I will check both our PayPal and our GoFundMe just before I place the call, likely sometime around 3:00 PM EST. He is willing to work with us. So it’s possible if we are REALLY close to an upgrade, we might be able to get it. So I can not stress enough that continuing to donate until we explicitly tell you that this fundraiser is over, is important! Ultimately, we (as organizers) really needed to set a hard deadline so that we could see where we stood and get ourselves organized before I speak with Joel, which means that our deadline was so that we could make some really important decisions tonight before I call Joel tomorrow. We promised to be transparent, so I’m going to be honest with you. What it comes down to is this: it takes days for funds to transfer from GFM to a bank account, so some of us will be fronting the funds to pay for the helicopter and then be reimbursed through the campaign once the funds are deposited into my account. We needed to know how much money we were looking at so we knew how many of us needed to be involved. We’ve figured it all out. We have our game plan. We’re locked and loaded and ready to go! So please, keep donating until we close this campaign, we can keep reaching for that $26,500 goal or anything in between! Again, every dollar counts and will effect the deal I am able to work out with Joel. And as soon as I have more information, I will be sure to share it. Also, please remember that any excess funds will go to future campaign initiatives. If there are no future campaign initiatives, all excess funds will go to a Lucy Preston approved charity that everyone will have a say in picking. We have so many different petitions circling right now that none of them have very many signatures and it's actually HURTING US. In order for our petition to be taken seriously, we need ONE petition to have 100K+ signatures. So we need to combine our efforts and ALL sign THIS petition (it is the one with the most signatures, so any other one would only cause us more work). Even if you've signed a different petition (I did too), SIGN THIS ONE. So let's get this petition skyrocketing next!